4 oz. 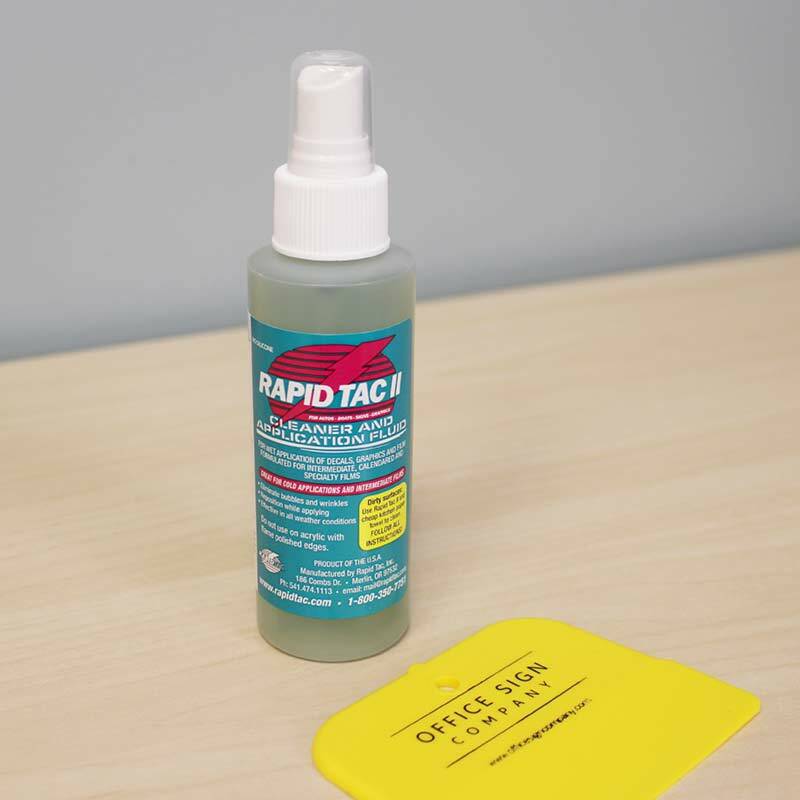 Rapid Tac II spray with squeegee makes applying any type of vinyl/film in temperatures ranging from 20 degrees F to 140 degrees F fast, easy, and bubble free. The application fluid allows the film to float until placed exactly where needed. It works with a wider variety of films and bonds faster than the original Rapid Tac, making it ideal for cold weather and glass application. Note: Rapid Tac II may bond too fast with "premium cast" films in warmer conditions. 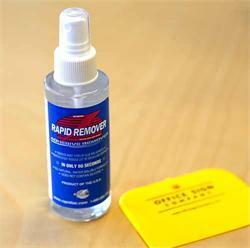 4 ounce spray on water-soluble adhesive remover that breaks down and removes adhesives in as little as sixty seconds! 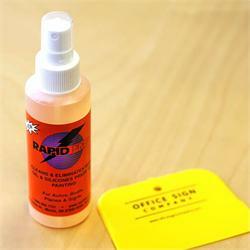 Spray it on, wait a few minutes and easily wipe away residue adhesive with a plastic squeegee and paper towel. Squeegee included. Preparation is the key to success. 4 oz Rapid Prep spray pre-cleaner that not only works great, but is safe to use. 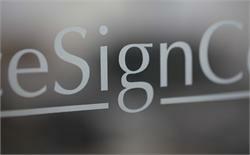 Wax, grease, oil and silicone residue removal. 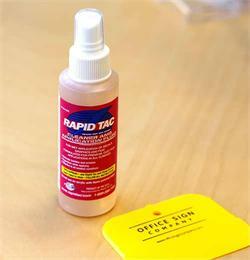 4 ounce Rapid Tac application spray and squeegee kit. 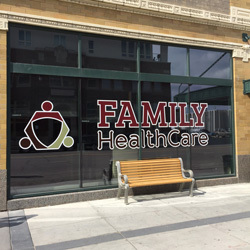 The Original Application Fluid for fast, easy, quality installation of premium cast graphics and vinyl with no bubbles, in warmer temperatures ranging from 55 degrees F to 120 degrees F.